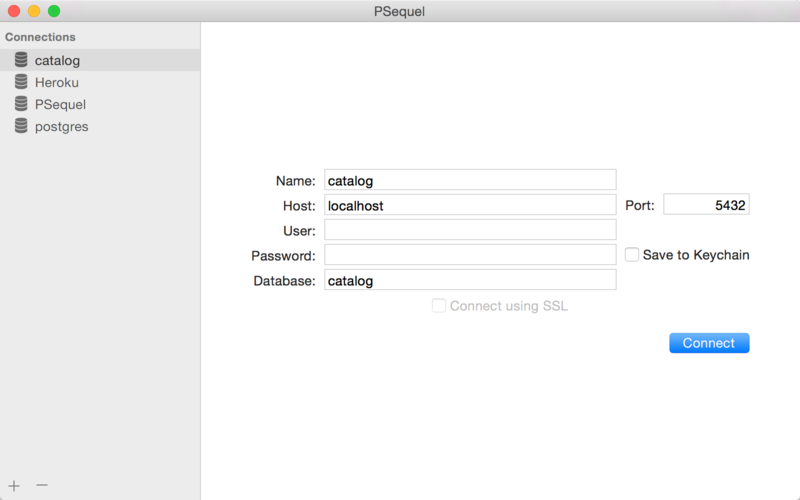 PSequel provides a clean and simple interface for you to perform common PostgreSQL tasks quickly. Download V1.5.3 for macOS 10.10+<- It's free! 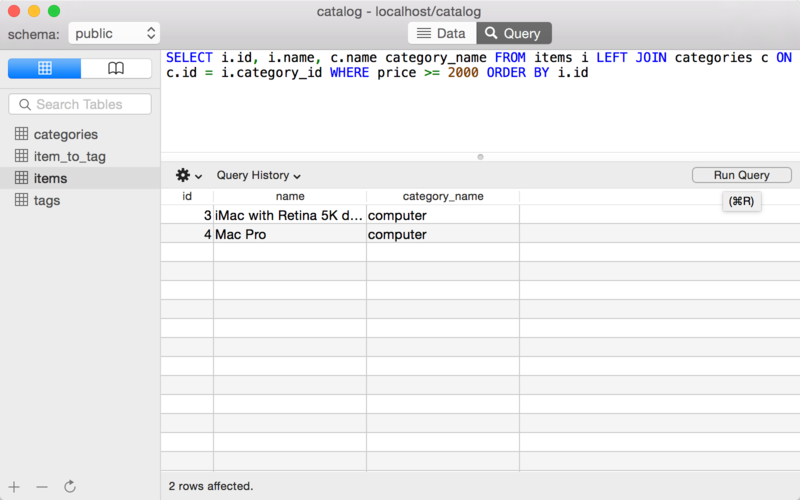 Why yet another PostgreSQL GUI client? Why not just pgAdmin? Well, pgAdmin is great for its feature-richness. However, I found its UI is clumsy and complicated. I know there is a list of PostgreSQL GUI Tools. However, they are either web-based, Java-based* or don't support the features I want. 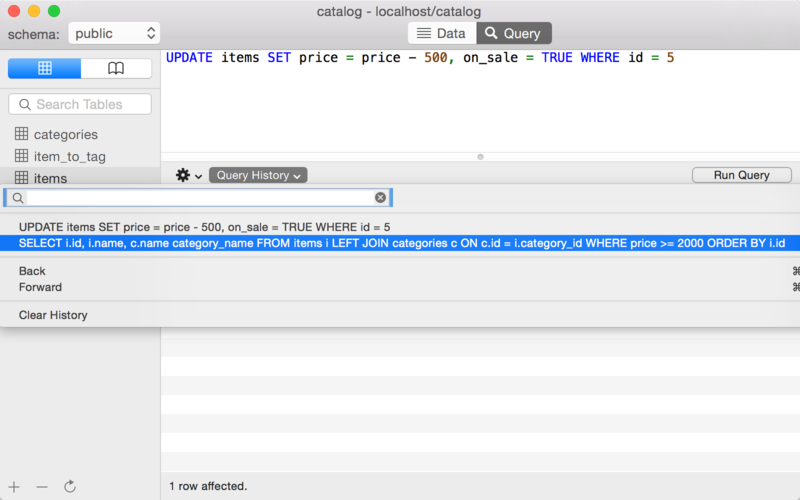 In the good old MySQL world, my favorite client is Sequel Pro, but its support for PostgreSQL doesn't seem to be happening. So, I decided to make one myself. * No offense to the Java community. I am a Java developer myself and I like JVM a lot. I just dislike Java desktop apps personally. No. There is no plan to open source it at this moment. Is PSequel a forked version of Sequel Pro? 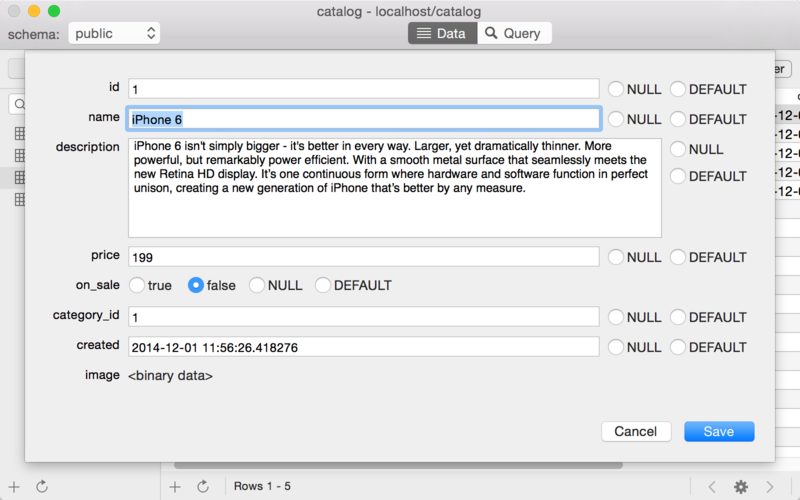 No, PSequel is written from scratch in Swift 2, although PSequel's UI is highly inspired by Sequel Pro. I am developing PSequel in my spare time. By supporting macOS 10.10+ only, I can keep the codebase simpler and save time by not testing it in older versions of macOS. And, less code, less bugs. What's the current status of PSequel? PSequel is still in its early stage. 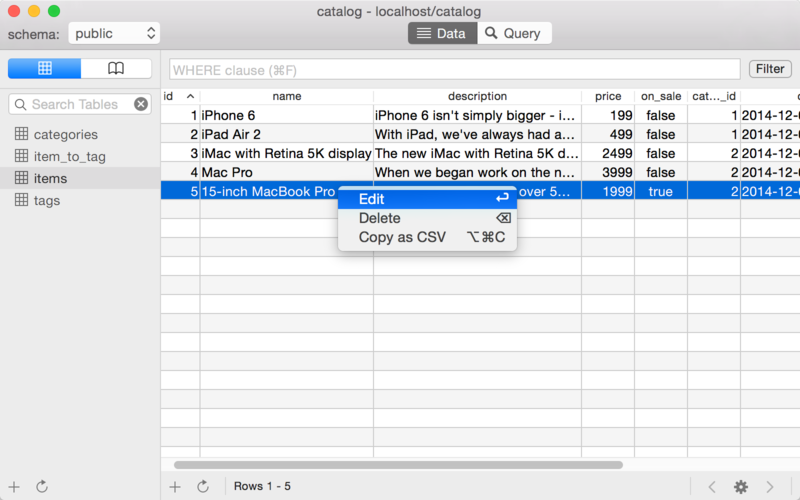 My plan to implement most features in Sequel Pro. If you think a feature is important, please let me know and I'll adjust its priority based on its popularity. How do I report bugs or suggest new features? Use Github issue tracker. Please try not to create duplicate issues. If you are reporting multiple bugs or suggesting multiple features, please create separate issues for each bug/feature. 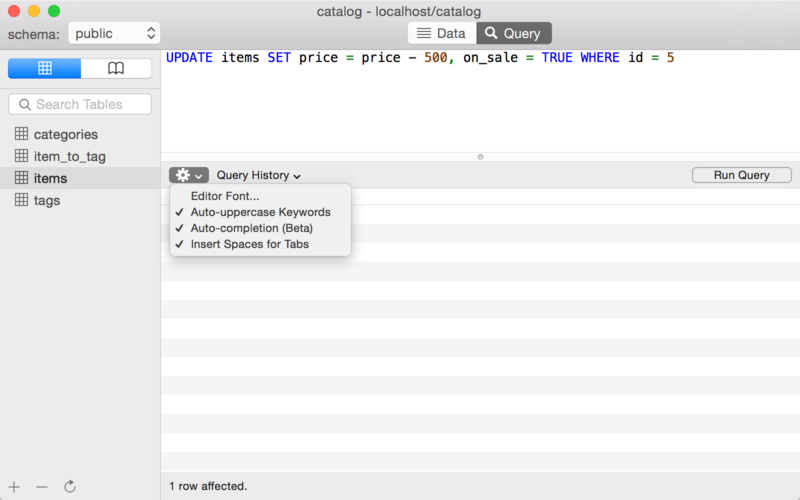 Please include your macOS, PostgreSQL and PSequel versions when reporting a bug. If you don't have a Github account, you could report bugs here. How do I support the development of PSequel? If you like PSequel, please report bugs and/or help spread the word.